I read Gather the Daughters more than a month ago and, regrettably, I'm only now getting to the review. (It's been a busy season for me.) It'd be easier to let my five-star rating speak for itself and move on to books fresher in my mind, but I do not want my praises for this novel to be unheard. So I'm trying my hardest, reaching back through time, back to the experience I had while reading Gather the Daughters. Unfortunately, I know I won't give justice to this wonderful dystopian debut, but I hope my attempt is not completely in vain. So to start, let's play the comparison game: everyone else is doing it. 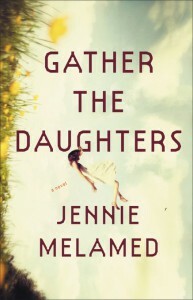 The publisher is saying that Gather the Daughters is “NEVER LET ME GO meets THE GIVER.” Other reviewers have drawn comparisons to Lord of the Flies, Kindred, and, most notably, The Handmaid's Tale. Personally, I have only read one of these novels: Never Let Me Go. There's no reason I haven't read the others—I just haven't gotten around to them yet. I believe the comparison to Ishiguro's amazing work is one of atmosphere: Gather the Daughters carries with it a hint of the repressive day-to-day living of Hailsham, the boarding school setting of Never Let Me Go. There is a similar burden pressing down on our teenage characters here. And in both books there is a desire to explore past the boundaries of these societies. The comparisons end there. As far as the other books go, I haven't read them, so I don't know, but I do sense that readers are perhaps a bit too harsh in their judgment. You see, I've come across several reviews on social media that lambaste this story for being too much like some of these others. Don't get me wrong, I agree wholeheartedly that when something is a flat-out copy of another, there is an issue. But I don't think anyone is arguing Gather the Daughters is a direct rip of Atwood's famous novel. One may conclude that the issue is that both novels are addressing a similar theme of a repressed society from a feminist perspective. Is there not room for both on this island? It seems to me that those readers who argue for “it has already been done, so any other attempts are worthless” are rather selective. What story hasn't been done a thousand times? Why didn't these same reviewers come out and attack other stories that were more obvious copies? The Hunger Games? Water for Elephants? So, let's put all comparisons aside and talk about this book, shall we? Gather the Daughters is an amazingly constructed tale that takes the reader into a puritanical, patriarchal society. From the opening pages, I was pulled into the steadily unraveling story told through the perspective of these young teenage girls. Each has a unique voice and view, and I believed their stories entirely. Though I could never keep their names straight—they all have rather common names—once I was a few sentences in, I recalled every detail of the character's earlier chapters. The world these characters inhabit is vivid and realistic. Melamed's language is lush, but not overly ornate. 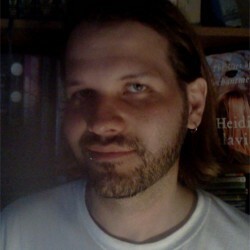 Despite my positive feelings, as the book progressed, I recognized I was growing a bit apprehensive. Melamed was tackling some very troubling subjects and, as yet, this society seemed to be entirely polarized. Men were abusive and entirely disgusting. Women were innocent victims. Fortunately, around the time that I began to feel annoyed by this, the novelist added some gray to the story. The result is a story that is that much more real and frightening. This no longer felt like a distant tale of propaganda disguised as science fiction, but a speculative story of what could happen given the right formula. Gather the Daughters is not an easy tale to read. It is brutal and sickening. The most significant abuse is often implied, and when it is shown, it's never in graphic detail. That said, the implications are enough to turn the stomach of many readers; those still struggling from a history of abuse (particularly sexual) may wish to avoid this book for the time being. Otherwise, I wholeheartedly recommend this book to my fellow readers. It's such an incredibly compulsive read. I said I was done with comparisons, but I changed my mind. 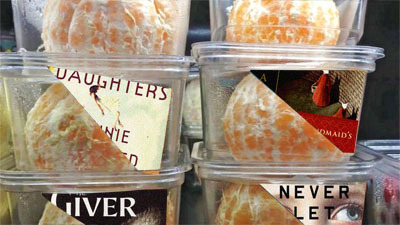 I thought of a comparison I like: Gather the Daughters is like a packaged pre-peeled orange. Stripped of its natural layer, it's given a glossy fresh seal, but everyone can see it's just an orange, right? You can ridicule the people who came up with the packaging and those who slapped the labels on the outside. You can say it's a simple orange and refuse to buy into the hype. But put all preconceived notions aside, close your eyes, and take a bite; you'll find the familiar but distinct flavor of an orange unlike any other. How often do two oranges really taste the same? Take a bite of Gather the Daughters and you'll undoubtedly notice a similarity to other “oranges”. Savor the flavor and you'll begin to notice the differences. And the difference between one good orange and another is all in the flavor.